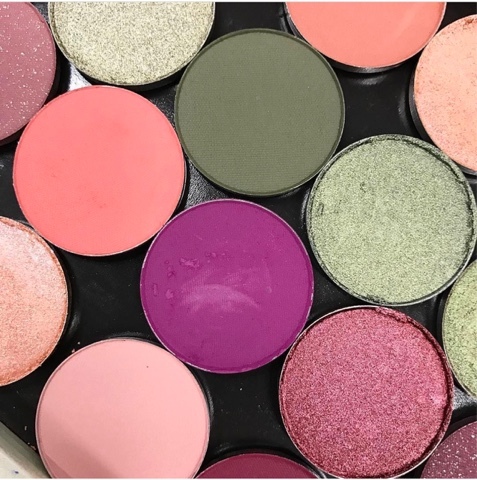 On the heels of their recently launched Valentine's Day collection, ColourPop is expanding the range of their pressed shadows. Today at 10am PST/1pm EST they will have 20 single shades up for grabs. 10 new and permanent singles as well as the 10 shades from the Valentine's Day duos, which will now be sold as singles. No word on whether these shades will are permanent or not but I'm guessing some of them will be due to the demand. I'm loving the new additions of greens since they were totally missing from the initial launch, which I found surprising. Together these shades make such a pretty range of shades for Spring. Like flowers blooming. 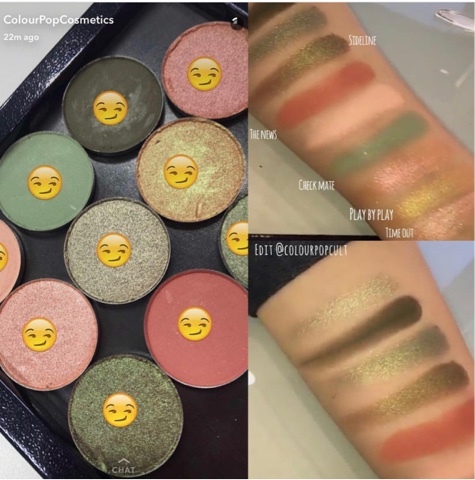 Here's a look at swatches of the new shades courtesy of ColourPop's Snapchat and all the duos are snatched and labeled via ColourPopCult. These grans really are so pretty. If you don't have similar shades I would definitely recommend them. I tried my recently purchased duo and I love the quality especially the shimmer shade. 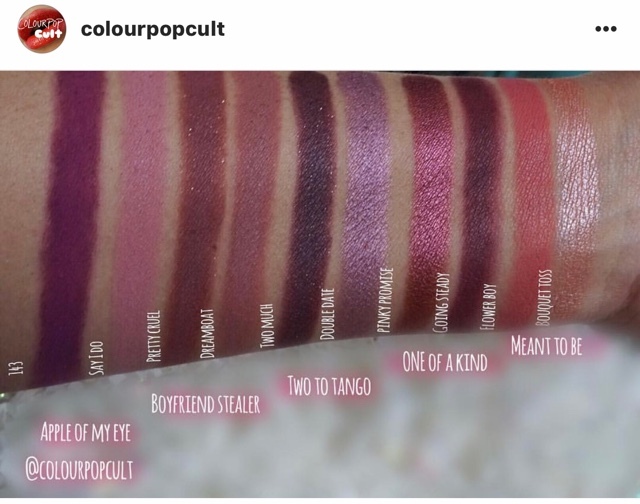 These swatches are labelled individually and paired up by the duo they can be found in. Some duos have already sold out and will not be restocked but all the shades are available currently as singles. You would just be missing out on the cute packaging. However, with every 4 pressed shadows you purchase (singles only), you'll get a free 4 pan palette added to your cart so you have a place to store your new shades. 10 all new shades launching at 10am PST! 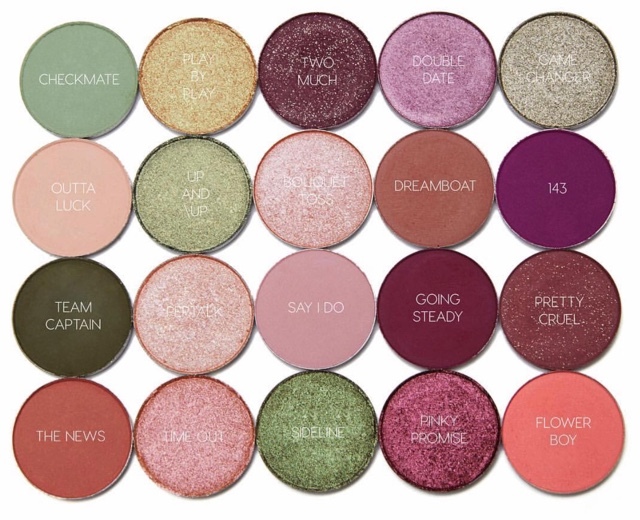 Shop the pressed shadows (new and old) here.